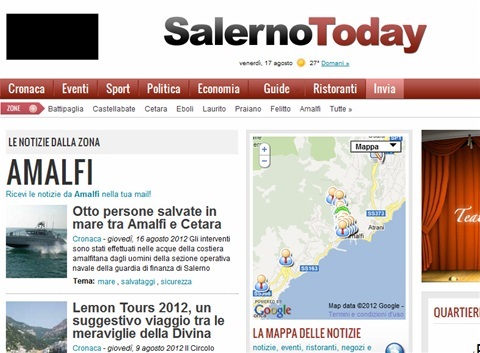 Salerno Today: the news platform, just like the one on Naples, but this time giving the latest news on the Costiera Amalfitana that is almost completely situated in the province of Salerno. It has regional editions on Amalfi, on Positano of course, as well as on Praiano and Ravello. Click here to view a summary link to other locations on and above the coast, such as Minori, Maiori, Vietri sul Mare, Furore, and Scala .... and the capital Salerno itself. Napoli Today is a news platform providing text, pictures and videos not only on the Naples area but there is also a section dedicated to Capri and Ischia, and to Sorrento and Vico Equense, another location situated on the Sorrento Peninsula coast, just opposite Naples on the other side of the Gulf. 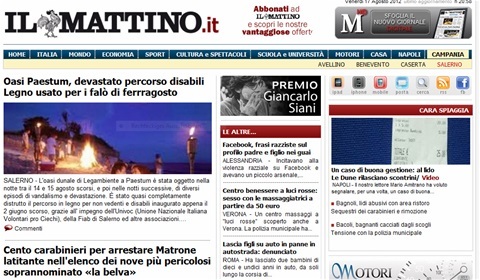 Il Mattino: Here is an important newspaper for the Campania region and Southern Italy, dedicating regional sections to both the capital Naples and its surroundings, that is the province of Naples, encompassing Ischia and Capri as well as the northern part of the Sorrento peninsula including Sorrento itself, and to the province of Salerno - most of the Costiera Amalfitana is situated there. Positano News: A comprehensive news portal, with hourly updates on almost everything concerning the Positano Territory in a blogwise fashion. 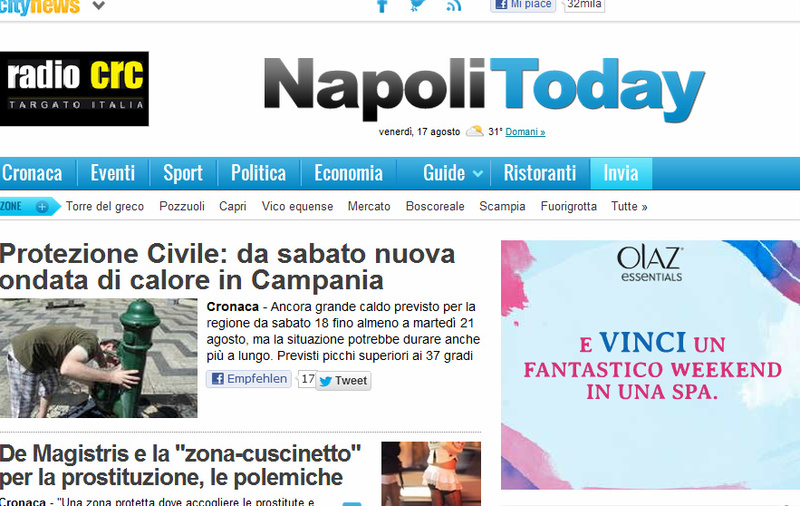 With additional sections on news about Capri, Sorrento, Amalfi, etc. Costiera Amalfitana is the section on the Positano News Site dedicated to all locations situated on the coast. IL FOGLIO DELLA COSTA D'AMALFI: Another online platform, with news sections covering Amalfi, Ravello, Praiano and Positano. They have also embedded their livestream channel, with news and cultural and touristic topics broadcasts, to the left in the upper part of the screen.